Can you believe it was two years ago this month that the Unicorn Frappuccino — that magical blue-and-pink-hued glitter bomb in a cup — made its way to Starbucks? So it’s high time we were gifted another Instagram-worthy drink. 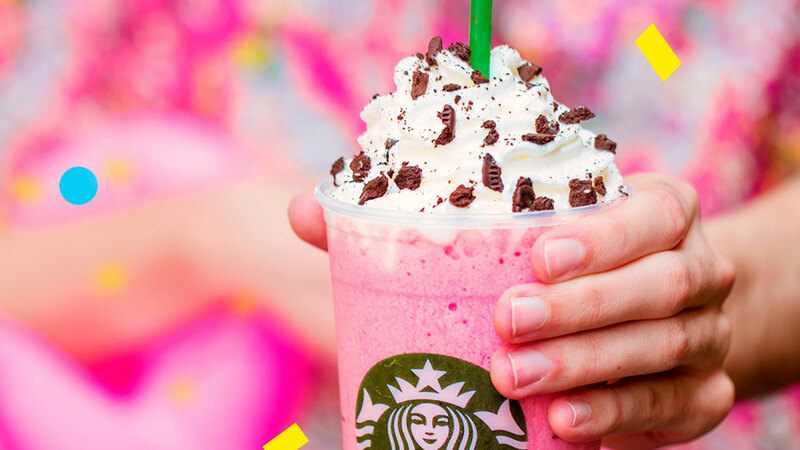 Allow us to introduce you to Starbucks’ Pink Flamingo Frappuccino. Allow us to also break your hearts a tiny bit with some unfortunate news about the drink: It’s not available here in the U.S. According to Bustle, the new Pink Flamingo Frapp is a “delicious blended beverage featur[ing] a majestic pink hue, strawberry flavor and… topped with whipped cream and cookie pieces.” And it looks and sounds even more delicious than the Frappuccino treat of the same name that was exclusively released to Disney Springs in 2017. This isn’t the first exciting new international Starbucks drink either. Leading up to the release of this frapp, Starbucks Japan launched the Classic Tiramisu Frappuccino, which is loaded with sponge cake pieces soaked in coffee, mixed into a custard base made with mascarpone cheese and egg, and topped with whipped cream and dark chocolate powder — and it sounds like a dream. No word on whether the Pink Flamingo Frappuccino will make its way to the U.S., so it looks like we’ll need to pray to the Starbucks gods to bless us with another pink sugar bomb as we sip on the Ariana Grande-approved Iced Caramel Cloud Macchiato. Life could be worse.